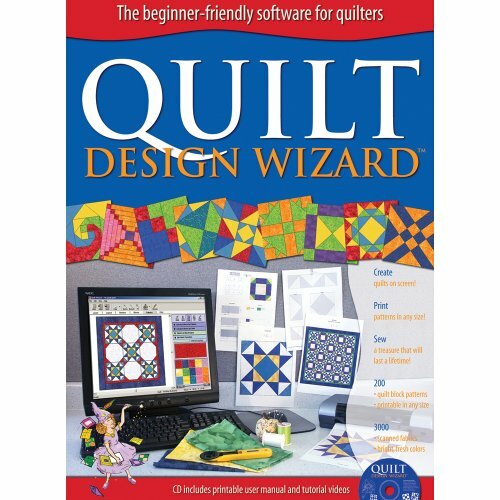 Does Quilt Design Wizard replace EQ5 or EQ6? No, this is a software for beginning quilters and beginning computer users. 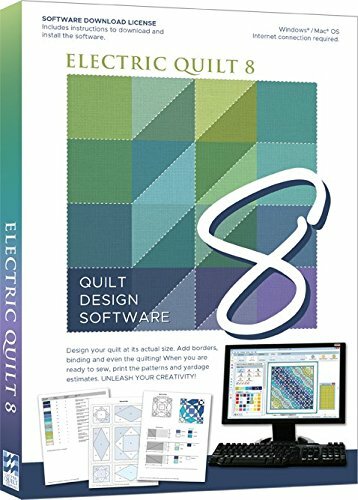 An inexpensive way for you to try quilt designing on your computer for the first time. Design simple pieced blocks, straight layouts, on-point layouts, and play with color. This is definitely designed for beginners. Requires Windows 98/2000/ME/XP/Vista/7. Made in USA. 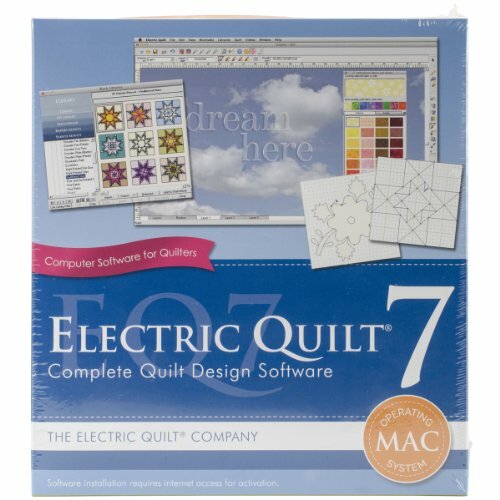 Electric Quilt is the industry's go-to computer software for quilt designing. From professionals, to the everyday quilter, EQ has all the right tools and features for every designer. This software comes with more than 40 new and updated features, including thousands of new block designs and fabrics. This 6.5x9.25x.625 inch package contains one download license for the EQ8 software and complete instructions. Made in USA. The Electric Quilt Company proudly announces Electric Quilt 7. EQ7 is the most user-friendly quilting software yet. No more searching for answers. It's all right at your fingertips. Includes a complete Reference Manual PLUS 25 quick and easy lessons and 10 videos that will teach you everything. Digital cameras will become a quilter's best friend. EQ7 has dozens of ways to turn everyday photos into quilt art images or crop and edit scanned fabrics right in EQ7 in minutes...and that's just the start. Electric Quilt-Electric Quilt 7 For MAC. 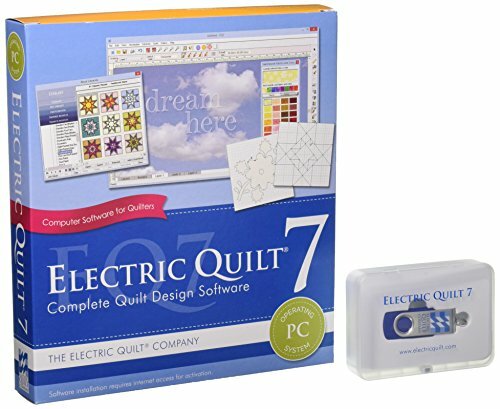 EQ7 is the most user- friendly quilt design software yet! From traditional to modern pieced to applique- you can design it all in EQ7! Perfect for beginner to advanced quilt designers! Import your own fabric scans and create instant blocks using 7 Serendipity options. 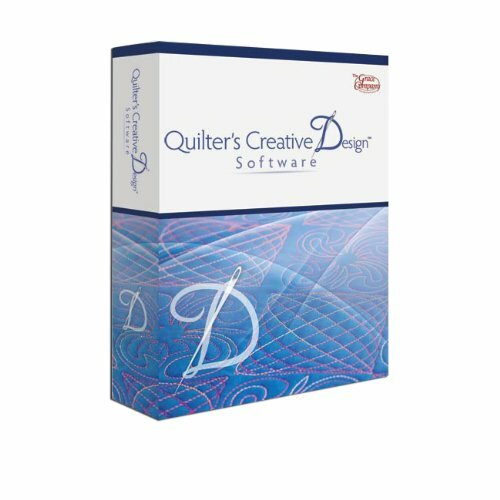 This package contains quilt design software with 5000 copyright-free blocks 5000 scanned fabrics traditional & modern layout styles two block drawing styles photo editing tools tutorial help videos illustrated help files PDF lessons and a user manual. Minimum system requirements: Version 10.6.8 or higher internet access 1.1GB of available hard-disk space USB port. Recommended: Monitor with screen resolution of 1024x768 or greater Adobe Reader. Made in USA. It's time to start designing your next quilt using this beginner-friendly quilt design software! 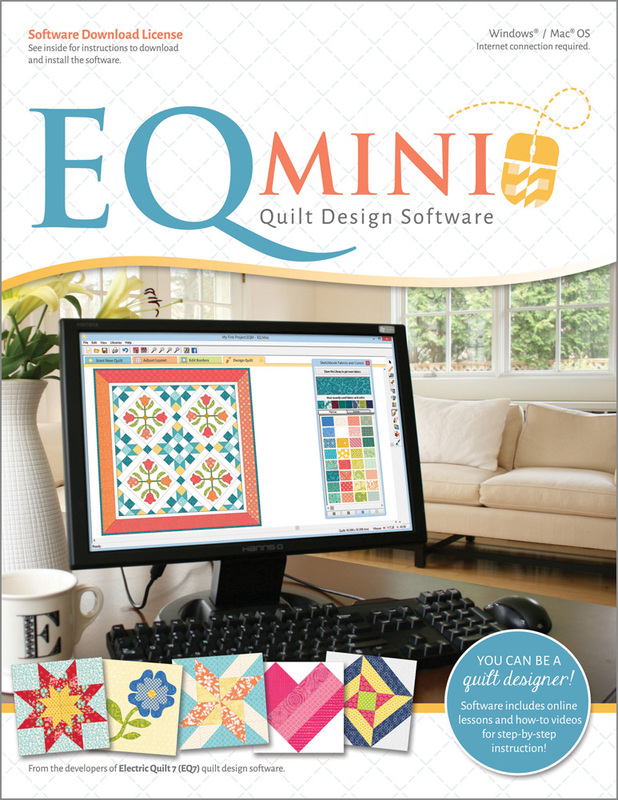 EQ Mini is designed for quilters who are just getting started using software for quilting. 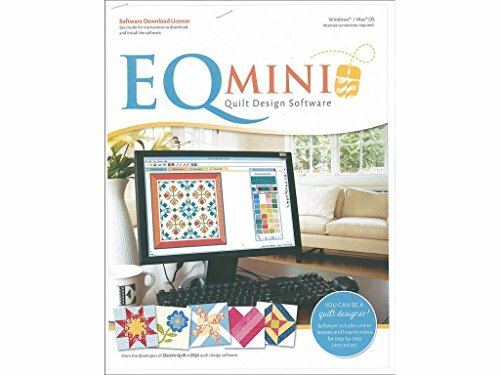 It delivers powerful yet easy-to-use options that help you create, edit, share, and print patterns and yardage for your quilt designs.EQ Mini includes a block library of 300 pieced and appliqué blocks to be set in any of the 4 layout styles. Each layout style (horizontal, on-point, horizontal strip and vertical strip) can be edited to create as many unique quilts as you wish. A fabric library of over 3,500 scanned fabrics will make your design come to life so you can really visualize your quilt before cutting your first piece of fabric.PC Minimum System Requirements:PC Recommended System Requirements:Processor: 1.6GHz or faster processor with SSE2 supportRAM: 2GBHard Disk: 350MBVideo Card: Microsoft GDI CompatibleSupported OS: Windows 10, Windows 8, Windows 8.1, Windows 7Additional Requirements: Internet connection is required to download the software, for product activation and validation, and for other software features. 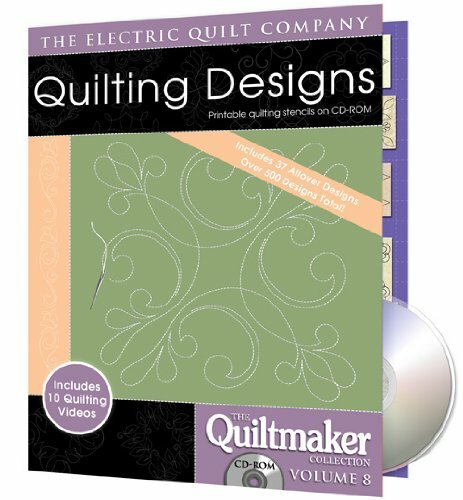 No more spending money on eXpensive pantograph books and patterns Use Quilters Creative Design to create and print custom-sized pantographs, blocks and entire quilt layouts from your home computer. 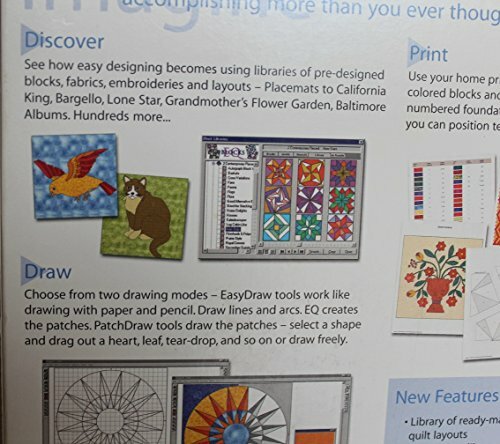 The new user-friendly software makes quilt design easier than ever Works on any Windows 7 or Windows 8 PC or even tablet Panto Stacker: Quick and easy pantograph layout with powerful row placement options. 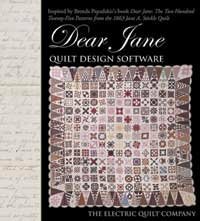 Compare prices on Quilt Design Software at ShoppinGent.com – use promo codes and coupons for best offers and deals. Start smart buying with ShoppinGent.com right now and choose your golden price on every purchase.